On Wednesday, at around 9:00, Steve Jobs died of Pancreatic Cancer. I learned this when I opened Safari on my MacBook Pro. It’s strange how I felt sad for a person I never knew, but the truth was simple. Steve Jobs may just be the greatest inventor of the 21st Century. I’ve used Macs for a long time. I edit my movies and blogs on them, watch movies on them, and have my own iPhone and iPad. Just about everyone in America has something from Apple. 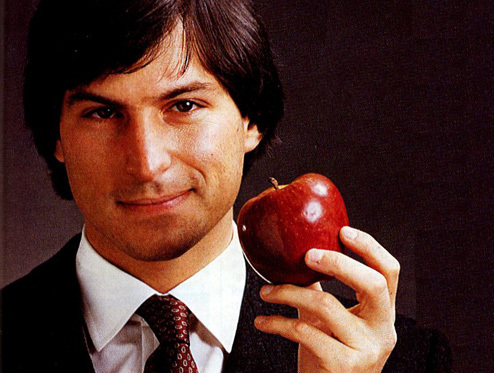 When Steve Jobs introduced Apple back in 1984, it was the most unlikely company made. Computers beforehand were used by scientists. But Jobs created the first home computer, one which could be used at home, at offices, and for everyone. When Jobs was fired from his own company, he than created the best animating studio today: Pixar. His skill with technology allowed him to create 3-D animation, and in 1995, Pixar released the first 3-D animated feature film Toy Story. When Jobs returned to Apple, he changed the company, which was losing a bitter battle to Microsoft. He invented the iPod, which became the music player of the century, the iPhone, which became the most popular smartphone in America, the iPad, which quickly beat the Kindle in pad technology, and he made Apple the largest computer company not only in America, but in the world. The thing I love about Steve Jobs was his creativity. The inventions he created seem like things you’d expect from an old science-fiction in the 60s, it’s something you’d never expect to actually be made. That’s why I felt sad about Steve Jobs’ death. He changed the whole perspective of the country. Steven Spielberg called him “the Edison of our time”, Barack Obama praised his mind, and John Hodgman, who plays the PC on the Mac commercials, said that everything good he has ever done was on a Mac. The world has lost one of the greatest innovators who ever lived. Watch his amazing speech from Stanford back in 2005 below. Steve Jobs was incredible. I believe that he will go down in history as the Edison of our time. Thanks for posting the Stanford commencement address.